What is Clarified Butter and How Do You Make It? 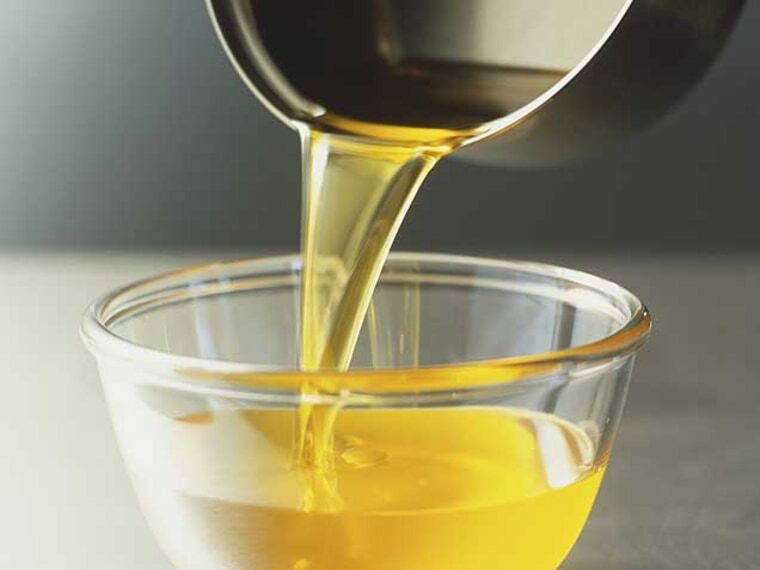 Clarified butter is butter which is melted and made clear by separating and then discarding the milk solids. More specifically, by melting butter, a cook can see that it separates into clear golden liquid and a thick liquid which settles to the bottom. The thick liquid is composed of milk solids, a protein-rich solution that burns easily over high heat. So, once the milk solids are separated and removed, the remaining butter can be cooked on a very high heat without burning. Clarifying butter is very easy. Slice 1 stick of butter into small pieces. Heat the butter slices in a heavy saucepan over low heat until it crackles and bubbles. Remove the pan from the heat and use a spoon to carefully skim off the fat foam that has risen to the top. Pour or spoon the clear liquid into a container, leaving the thicker milky stuff at the bottom. Discard the white residue. Tightly cover the liquid and refrigerate or freeze. It can be easily be stored either way for months.